ASK: I’ve had more than one miscarriage, is it still possible to have a healthy baby? ASK: If my partner takes testosterone, can that play a part in my infertility? ASK: Is it safe to freeze my egg? When and why should I do it? ASK: I’ve been trying to conceive a baby for a while, when should I see a fertility specialist who can help? ASK: Am I too old to get pregnant? When should I freeze my egg? ASK: When do I know I am ovulating? 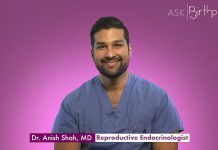 ASK: When is the best time to conceive during the month? ASK: What are my chances of getting pregnant based on my age? ASK: How do I know when I should see a fertility specialist? ASK: Does my weight play a role in my fertility?